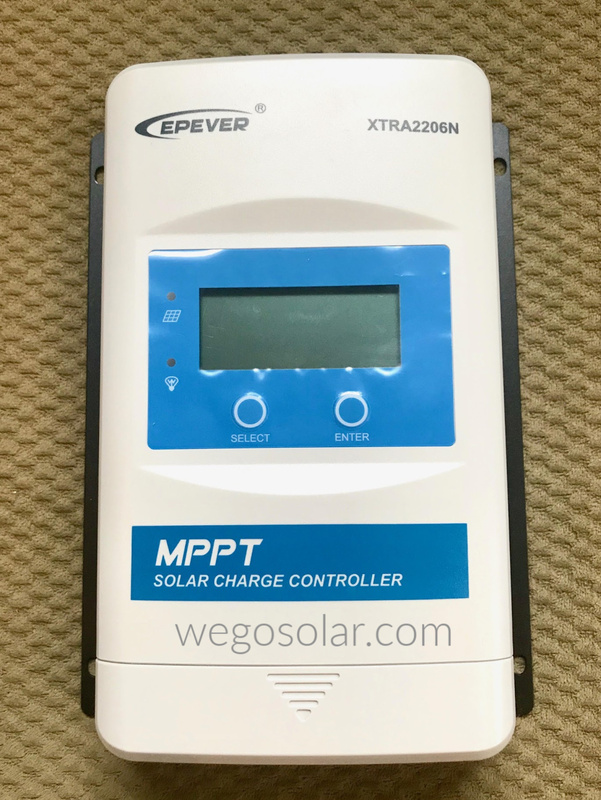 Click the button below to add the EPS-XTRA-20 Solar Controller 20A MPPT to your wish list. The XTRA-N 2206 is ideal for smaller systems using a single panel systems to charging 12V batteries. MPPT means Maximum Power Point Tracking, in that the panel is operated at its maximum efficiency and then converts this power to 12 or 24V. This model is ideal for single panel systems (12V) or 2 panel systems (24V). The XTRA-N Series MPPT charge controllers are ideal for 36, 60 and 72 cell module in battery charging applications. They are user friendly with an advanced digital display, show input and output current and voltage. Ideal for solar systems to 260W (12V) and 520W (24V).